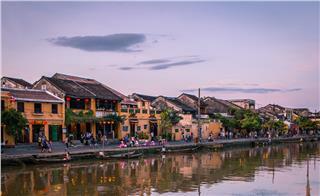 Hoi An is an ancient town. The town is still preserved almost an intact relic of ancient architectural works of many houses, assembly halls, temples, shrines, bridges, wells, market, and so on. 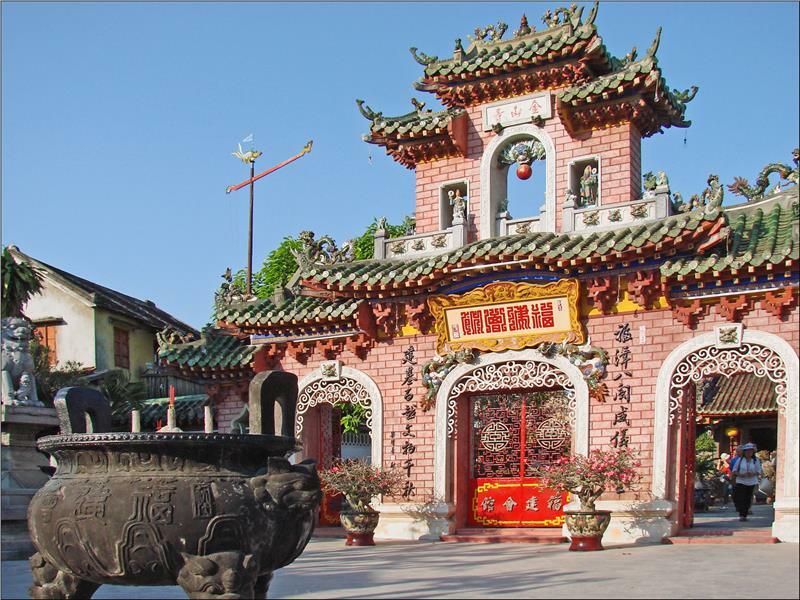 With horizontal and narrow roads forming square - chessboard style, scenery in Hoi An looks ancient, and actually like a vivid picture. 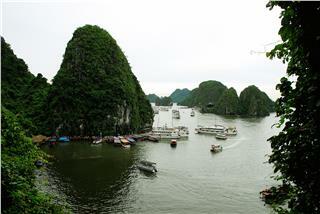 The existence of Hoi An seems to be the only case in Vietnam and also a rare one in the world. 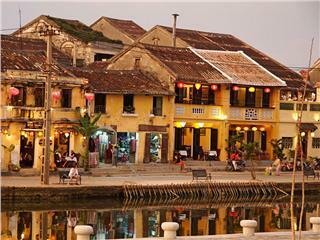 Hoi An is regarded as a living museum of architecture and urban lifestyle. 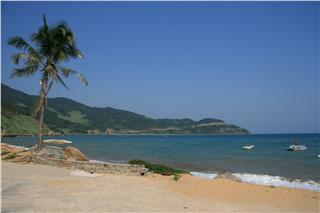 From Da Nang City, we caught a bus to travel to Hoi An, about 30 km from Da Nang City. As departing from early morning, we arrived Hoi An at 6 a.m. 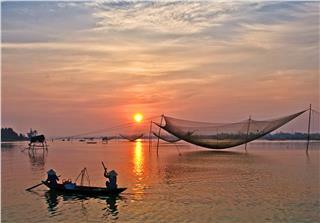 The scenery in Hoi An in early morning impressed us a lot. There were a few stores open; only restaurants opened to serve tourists and local people. This was a wonderful moment to discover Hoi An without too much people. We walked along streets of Tran Phu, Nguyen Thai Hoc and Bach Dang and started to list things to do in Hoi An in this our short trip. 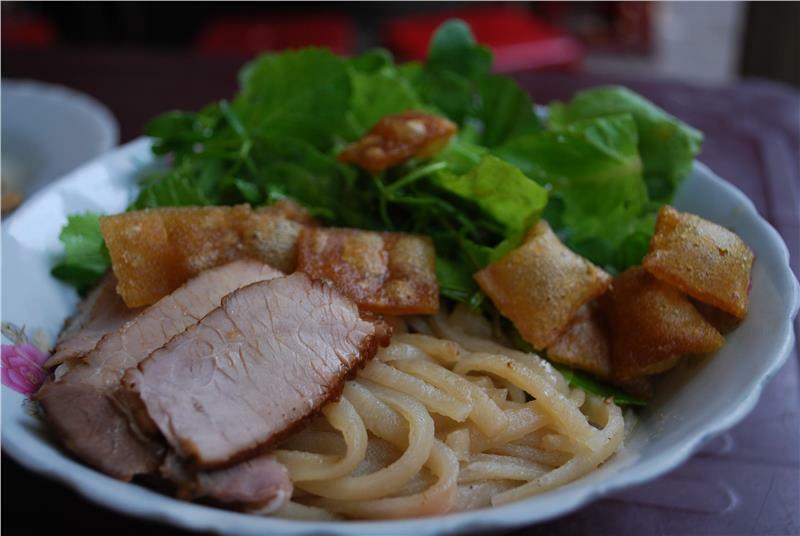 Wandering round and round over an hour, we decided to explore street food in Hoi An. Recommended by one of our friends who had been to Hoi An once, we entered an old restaurant on Thai Phien Street and ordered Cao Lau, one of the most famous street food here, and its price is very reasonable. 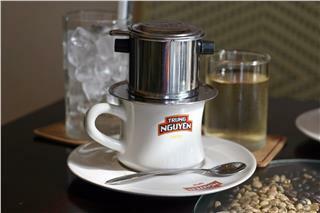 It is said that your trip to Hoi An would not be complete without tasting Cao Lau in Hoi An. 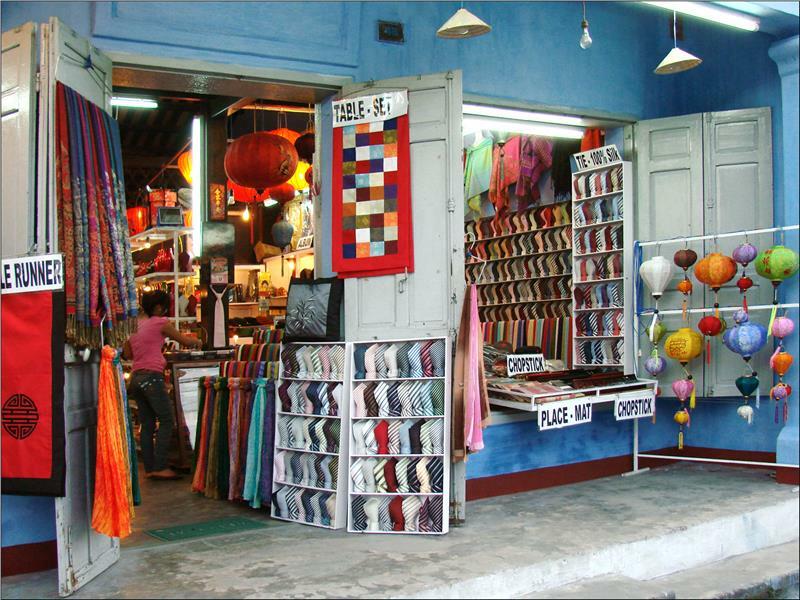 When we finished our breakfast, a busy and colorful Hoi An Ancient Town appeared with stores of various items. We entered a clothes store near Hoi An market. In this store, we seemed to get lost in clothes of all kinds, colors and styles. Interestingly, I could have a dress designed in my own style by a tailor as the owner of that store, and I could get it in one day. During the shopping time, we had a chance to visit ancient houses along streets here. These houses seemed to attract us from the first sight by its antique features and lifestyle of the owners. 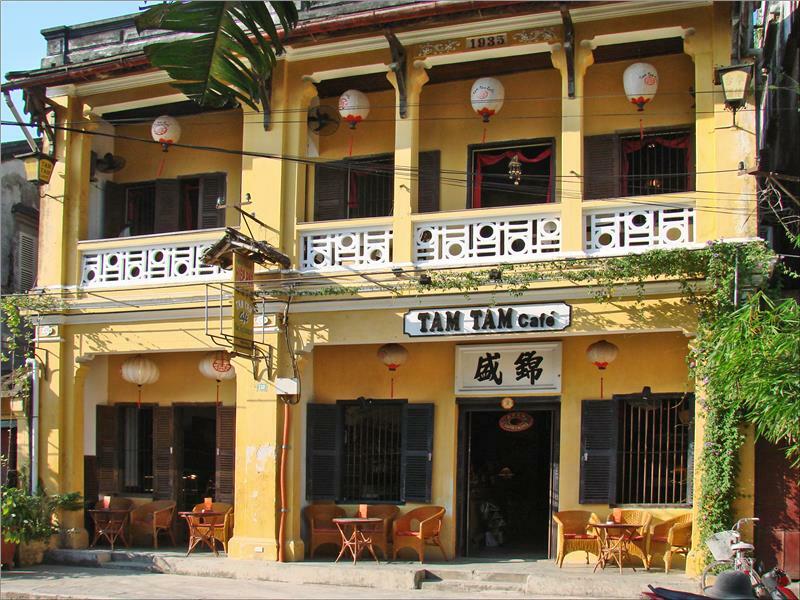 Surely, you cannot find them anywhere, but Hoi An. Noon comes. We chose Chicken rice as our lunch. Moving to Phan Chu Trinh Street, we popped in Ba Minh restaurant where the dish of Chicken rice is one of two most famous chicken rice restaurants in Hoi An. This dish was really different from that in Nha Trang or Da Nang. It has a unique flavor that cannot be mistaken. However, as this restaurant is well known for this delicious dish, this restaurant is always so crowded. We had to wait for a bit to enjoy Chicken rice, one of the most famous dishes of Hoi An cuisine. At noon, it was so hot and uncomfortable to walking around, so we dropped by a small café, enjoyed a relaxing moment and contemplated the serene life in Hoi An. 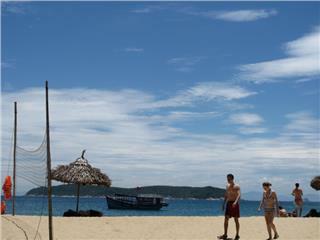 In the afternoon, we hired bikes and rode to Cua Dai Beach. 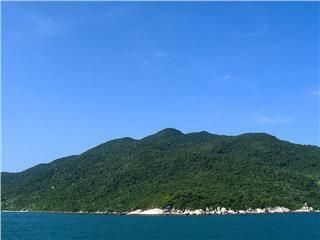 Here, it looks different to a peaceful Hoi An Town. 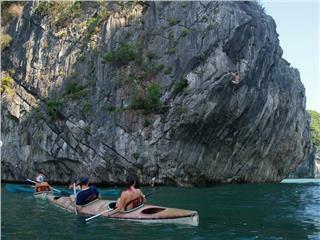 Cua Dai Beach is not as beautiful as other beaches in Nha Trang or Da Nang, but is has its own features of cool and turquoise waters, and, simply, it brings different feelings after traveling Hoi An Town, a feeling of immersing in the beautiful nature. It was so exciting when enjoying fresh sea food after freely swimming in cool seawater. 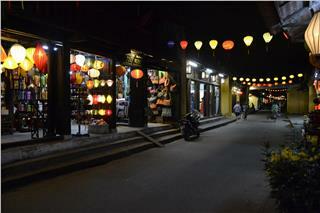 Coming back to Hoi An in the evening, we were again impressed by romantic, magical and colorful scenery in Hoi An. 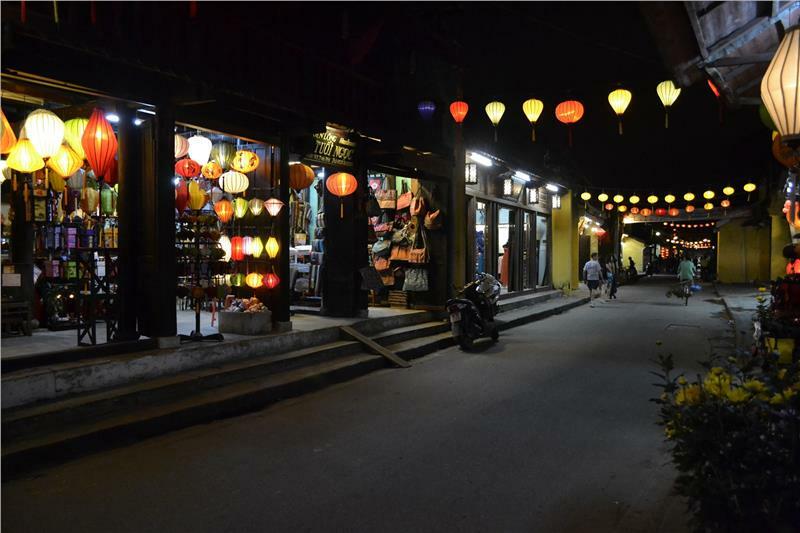 Along streets in Hoi An Town, there were a lot of colorful lanterns hung, which made Hoi An more shimmering and mysterious. 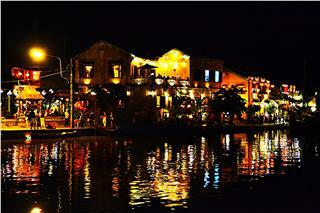 Enjoying Hoi An nightlife on Hoai River and listening to traditional music were definitely fantastic experiences. The feeling of walking along streets in this town at night was so amazing. 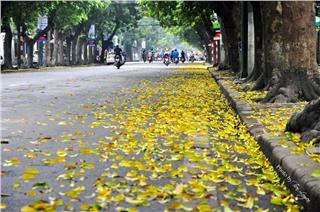 Despite of having a little time traveling Hoi An, we had wonderful moments here. 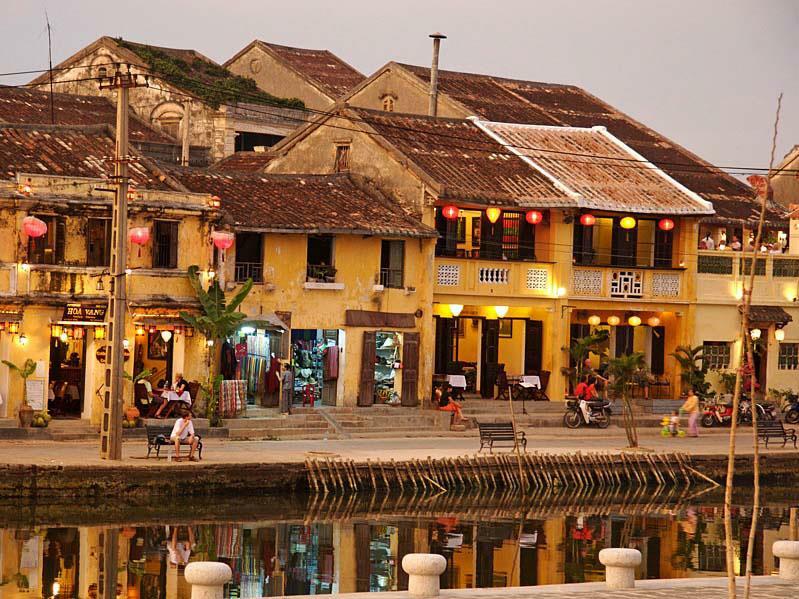 Enjoying delicious dishes, immersing in An Bang Beach, drinking tea, admiring Hoi An Ancient Town, and loving serenity are wonderful things to do in Hoi An tours. Seemingly, these things make a unique Hoi An, one of the most romantic places in the world. 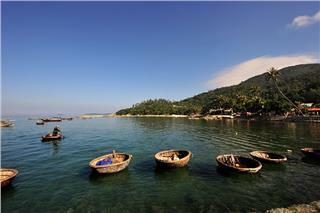 Cu Lao Cham, with spotless white sands, fresh air and delicious seafood, is an ideal destination for those who want to escape from the stifling of the city and the pressure of working life. 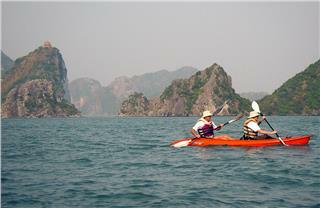 Being blessed with beautiful beaches, unspoiled scenery, and cool climate all the year round, Cu Lao Cham Island, known as the “pearl of Hoi An” is becoming a destination fascinating tourists. 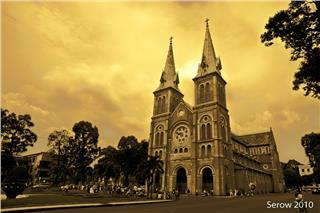 Saigon or Ho Chi Minh City is considered as the Pearl of the Far East. 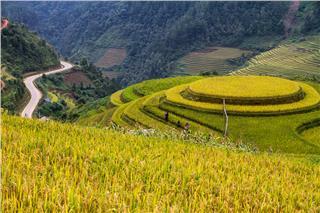 Being known as the largest urban in Vietnam, Saigon owns itself not only the sumptuous beauty of a metropolitan but also the simple but surprising things waiting to be explored. 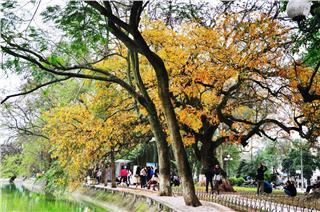 Hanoi has been a must-visit destination in Vietnam. 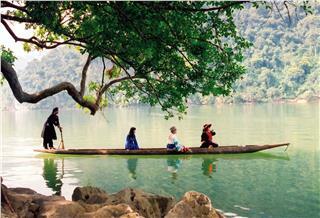 It fascinates tourists with a long lasting history, diverse and unique cuisine, and hospitable people. With AloTrip, tourists will have a chance to explore the city thoroughly with unique simplicities. Unique architectural style existing for hundreds of years of tile roofed bridges in Vietnam is always attracts the great number of tourists to visit and explore. 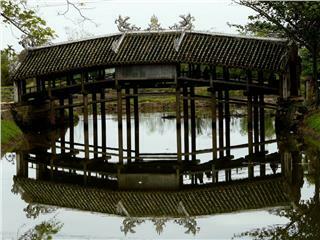 These bridges are also the witnesses and symbols for the ongoing development of Vietnam. 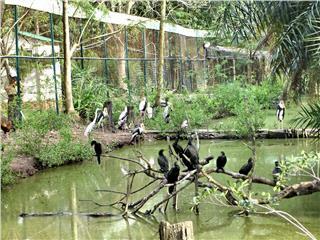 Bird sanctuary is not just a convergence of bird species, but also a place where visitors in Vietnam eco tours can travel to enjoy wonderful scenery, amazing landscapes and a vast world of bird sounds. 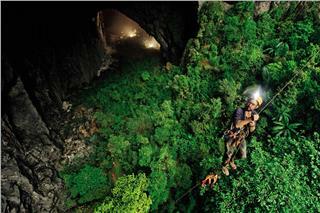 Let’s come and immerse in the Nature’s rhythm. 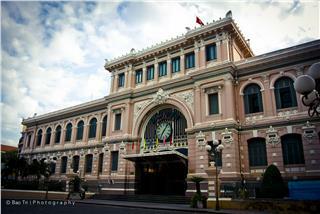 Located on Paris Commune Square, District 1, Saigon Central Post Office or Ho Chi Minh City Post Office is one of the most amazing attractions in Ho Chi Minh City. 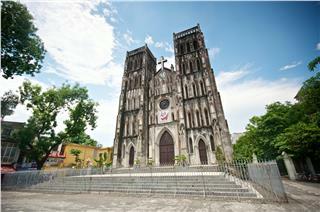 It is even considered as a symbol of the city.